The most hated and vile man alive, billionaire George Soros, has falsely claimed that Italy’s new right-wing government is funded by Vladimir Putin, to try to stir up controversy against the growing anti-EU sentiment that’s taken over Italy in recent times. Italy, a once peaceful country that’s been overrun in many parts by migrants, has seen little benefit in being apart of the EU, and with the country being further swamped by illegal immigration (mainly from Africa), it has had a devastating effect on the country, which is why people have voted for Matteo Salvini, who is now the Deputy Prime Minister of Italy. As we all know, the political corruption of George Soros is widespread across the EU, and he has now labelled the Northern League party led by Mateo Salvini as being funded by Russia, even though there’s no facts to back up Soros’ feeble claims, made simply to justify EU’s slipping hand on the country. Italy’s new democratically elected government doesn’t fit George Soros’ faltering EU utopia, which is purposefully crumbling at the seams with mass illegal immigration caused by migrants coming into Italy aboard boats, brought over with the help of many of George Soros’ NGO’s that have been streamlining migrants into Europe in unprecedented numbers, causing a strain on many EU countries, both socially and economically. Plus, Italy has had it worse than most EU countries, in that it is situated directly above Libya. 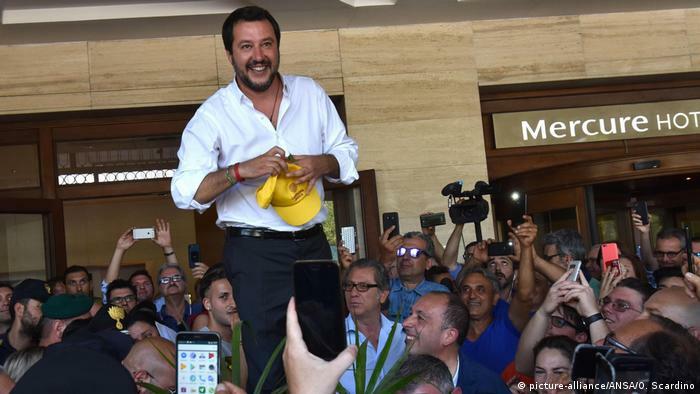 The Italian people have now had enough, and did the right thing at the voting booths by electing Matteo Salvini to steer the country in the right direction. One of his recent famous phrases to illegal migrants was, “Pack your bags, illegals” which resonated with the Italian public in his speech. Italy’s new coalition government has angrily rejected George Soros’ claims of Russian involvement in the Italian electoral process. It’s clear that George Soros is only trying to sow seeds of doubt and spread his fake news reasoning, as was also done in America with the fake Russian collusion news agenda against President Donald Trump. Quite clearly, Salvini’s victory and the accusations by George Soros regarding Vladimir Putin or Russian involvement would suggest that Italy are definitely on the right track to break free from the EU’s corrupt schemes, headed by George Soros. It is more than clear that the Left likes to use Russia as a scapegoat for election losses, which we all know is nothing more than conspiracies and hogwash with no truth or merit, whatsoever. 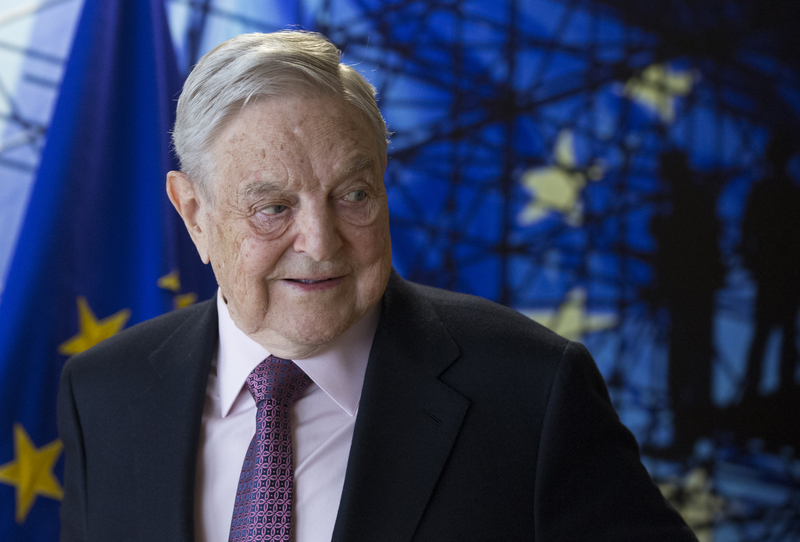 George Soros has already been labelled an enemy of the state by Hungarian Prime Minister Viktor Orban, who won re-election in Hungary earlier this year and continues to defy EU migration quotas. Furthermore, Austrian Chancellor Sebastian Kurz has also distanced himself from EU policies on mandatory migration, with his Austrian People’s Party being elected in mid December of 2017. Well, well, if Italy soon achieves leaving the EU, which could very well be on the cards soon, then it seems like the European Union is already losing it’s grip on nations in their superstate, with “Italexit” surely becoming a resulting domino effect from which the EU will never recover. Other nations may then become very tempted to follow the likes of the United Kingdom and Italy in the future. Could this be the beginning of the end for the European Union? Many EU nationals have become deeply hurt by the effects of the migrant influx, with the subsequent Brussels corruption and notably in their mismanagement of many nations sovereignty, which is a final nail in the coffin for disgruntled Europeans. Plus, let’s not forget that George Soros’ Open Society Foundation held over 42 secret meetings with the European Union in 2016 alone, in order to influence an agenda over European nations, as was exposed by UK Brexit champion, Nigel Farage.